The Worthys date back to Saxon times and are mentioned in the Domesday Book. These settlements were probably carved out of a royal estate, which in its turn may date back to Roman times. The area was farmed in the Iron Age, as sites at Woodhams Farm and Worthy Down have revealed. Saxon settlers probably arrived in the 7th century, and began farming in the fertile land by the Itchen. A pagan cemetery was found in Worthy Park in the 1960s, and below it, sunken houses of the same period. Finds from these early sites can be seen in Winchester Museum. During the 8th century, the Kingdom of Wessex came into being, and the beginnings of Christianity in this area were brought from Winchester, which became the seat of a bishopric. 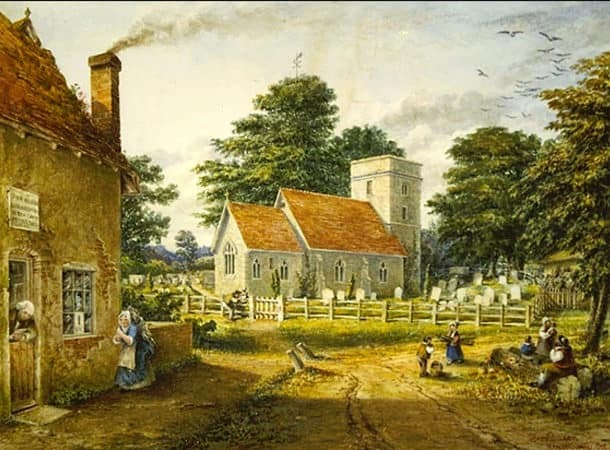 Little is known about the earliest churches, but the parishes of Headbourne Worthy and Kings Worthy existed before the Norman Conquest. Their position on the Itchen on the way into Winchester and the much visited St Swithun's shrine gave them a wider importance. Headbourne Worthy church still contains the site of an important stone carving of the Rood, dating from the 10th century. This can be seen in the vestry. The configuration and geography of the Worthys is still hard to unravel. Headbourne Worthy and Kings Worthy are intertwined, as they face each other in Nations Hill and part of Springvale Road. Yet they have always kept their separate identities, each belonging to a different Hundred in medieval times. Until 50 years ago, each church had its own incumbent. They still have different patrons. Now these two Worthys are combining to create a community website, which will be welcomed as a realistic and neighbourly step forward. Abbots Worthy brings another twist to the story: it may have been more populated in medieval times, and belonged to Micheldever Hundred. Yet its parochial status was that of a tithing of Kings Worthy. No church building has been found, though incumbents are mentioned in a late medieval source. In recent times, Abbots Worthy has regained its more separate identity, due to the building of the bypass and the A33 becoming an arterial road. 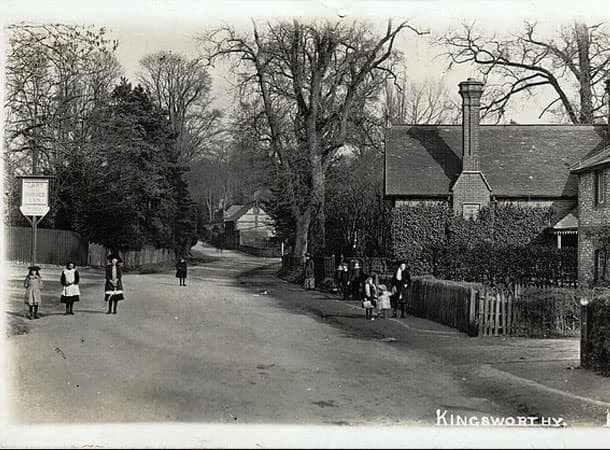 In the 19th century the two central Worthys were continuous, and the school for all Kings Worthy children lay on Alresford Road until 1952. Headbourne Worthy had its own school, as School Lane still reminds us. The population of the Worthys has grown from less than a thousand before 1900 to around 6,000 and still counting in 2007. This is largely the result of the growth of Springvale in the mid 20th century and the continuing development all over the area up to the present. 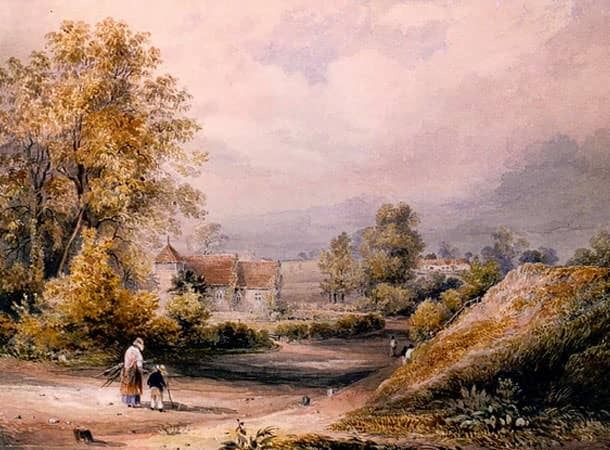 Until the early 20th century, the Worthys were largely farming communities. The censuses which were taken every ten years recorded most males as Ag. Lab. - Agricultural Labourer. They worked for the owners of Bull Farm, Woodhams Farm, Hookpit Farm and Pudding Farm. They lived in substantial cottages, and gradually more specialised craftsmen and artisans found work as farriers, metalworkers, carpenters, joiners, to name but a few. These self-sufficient communities became quite prosperous, and the Barings gave land to build a school. Successful entrepreneurs settled here and built substantial houses, for example Hinton House, Morton House, Kings Worthy Grove, Northleigh and The Cottage on London Road. The coming of buses, trains and bicycles brought the Worthys into much closer touch with Winchester. Mobility and education, together with the advance of technology of every kind, changed the Worthys as they changed every other country village. Yet somehow the villages have survived as separate entities, hubs of enterprise sustaining many business and leisure activities, still proud of their ancient churches and other links with the past. The Local History Group has many digitised records where these and many other themes can be followed up in greater detail. In Worthy History, the fascination of individual characters and buildings can be enjoyed, and many tales of the Worthys still wait to be told. Information and images kindly provided by the Worthys Local History Group.